As Traded: Bruce Auto Group takes in thousands of vehicles yearly as trade-ins from clients. From time to time we elect not to service a vehicle, as it may have above average mileage for retailing, or it is a make we do not service regularly. These vehicles are sold As-Traded and are a favorite of value shoppers, mechanics, and do it yourselfers – anyone who is shopping for a vehicle at a wholesale price. 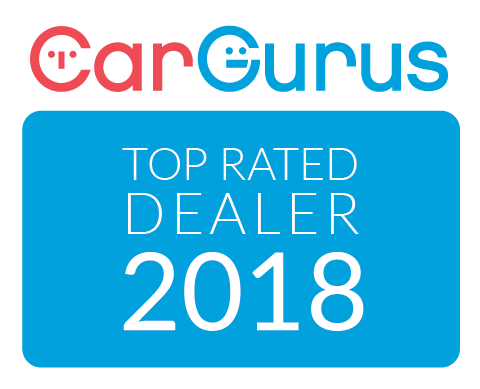 As vehicles are sold without an inspection, without warranty, and an as-is no exchange policy, we recommend you visit our store to inspect and test drive the vehicle. The Purchase Price is Vehicle Price + HST. Visit Store for details. Bruce MVI Plus+ Vehicles are ready to hit the road with a full 2 Year Provincial Safety / Motor Vehicle Inspection (MVI). Many of these vehicles also have the balance of their original factory warranty. We use a Market Value Pricing model to make sure our prices are the best value in your area – up to 500 km’s away. MVI Plus is a great option to get a ready to drive vehicle at a lower then market price. Purchase Price is Vehicle Price, plus applicable fees and HST. Visit store for details. Financing available on approved credit. All prices include a $1,000 financing credit which is contingent on customer financing the vehicle through one of Bruce Auto Group sources. Bruce Certified Used Vehicles are Pre-Owned Vehicles with built in Peace of Mind. All Bruce Certified Vehicles must past a rigorous 110 point inspection. This allows us to offer an exclusive Bruce Auto Group 3 month, 5,000 km warranty on all Bruce Certified Vehicles. Want more peace of mind? Bruce Certified Vehicles also give you the ability to exchange our vehicle, hassle free, for up to 30 days**. All this, and we use Market Value Pricing research to ensure your Bruce Certified pre-owned vehicle represents the Best Value in Market. Visit our store for details to learn more. See conditions below.All price include a $1000 financing credit which is contingent on customer financing the vehicle through one of Bruce Auto Group sources. Purchase Price is Vehicle Price, plus applicable fees and HST. Visit store for details. Financing available on approved credit. *3 MONTH / 5,000 KILOMETRE POWERTRAIN WARRANTY Warranties for the failure of: Engine Block, cylinder head, all internally lubricated parts, oil pump and housing, water pump, fuel pump (high/low pressure), flywheel, manifolds, timing gears, harmonic balancer, cam carriers, oil pan, engine mounts. Transmission/Transaxle Transmission case, transfer case, all internal parts for each, torque converter, transmission/transaxle mounts. Differentials / Axles Front and rear differential housings and mounts, all internal parts, propeller shaft, universal joints, axle shafts, bearings and housings/mounts, constant velocity joints, front and rear hubs/bearings, locking hubs. Repairs must be completed at a Bruce Service Centre **30 DAY / 1,500 KILOMETRE EXCHANGE POLICY Bruce Certified vehicles come with a 30 day / 1,500km exchange policy. If you are unhappy with your Bruce Certified Used vehicle, you may exchange it for another Bruce Certified Used vehicle at any of our locations. Time / Kilometres - whichever comes first. Exchange is limited to one per customer. Credit will be given for amount paid towards another vehicle.